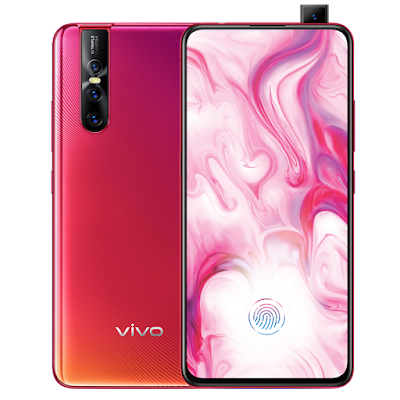 After unveiling two of the most innovative mid range smartphones, Vivo is finally making the V15 and V15 Pro available in the local market, and in truly more convenient ways! 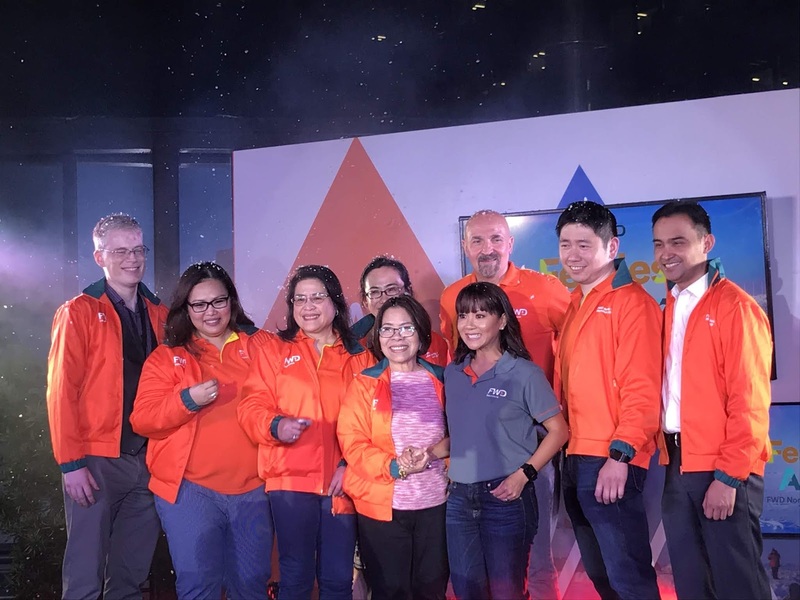 The innovative mobile phone developer will start offering the Vivo V15 on March 30, while the more powerful V15 Pro will hit stores on April 12. Both handset models will be available at all participating stores located at shopping nationwide. To enable more Filipinos to get their hands on the V15 and V15 Pro and enjoy its 32MP Elevating Selfie Camera, Ultra FullView™ Display, and 48MP AI Triple Camera, Vivo will offer the smartphones at 0% interest. This applies to 6-9 months installment payments using major credit cards and Home Credit. Aside from the incredible offer, Vivo is also giving away a set of exclusive perks for those who make advance orders of its latest flagship mid range smartphones. Customers who pre-order the V15 smartphone in stores and online until March 29 can get an NBA Premium Gift Set of a Bluetooth speaker and premium NBA Case while those who pre-order the V15 Pro online until April 11 can score a JBL Clip 3 portable Bluetooth speaker. 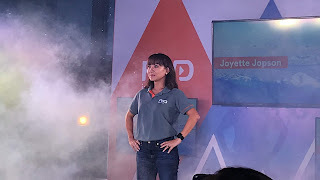 Those who place an advance order on either the V15 or V15 Pro will get an extended 6 months phone warranty and can also avail of a screen protection warranty, wherein they will only need to pay P500 to have their damaged or broken screens replaced within 6 months from receiving their pre-ordered units. To pre-order the Vivo V15 and V15 Pro today, visit https://vivoglobal.ph/v15preorder/. So, what are you waiting for? 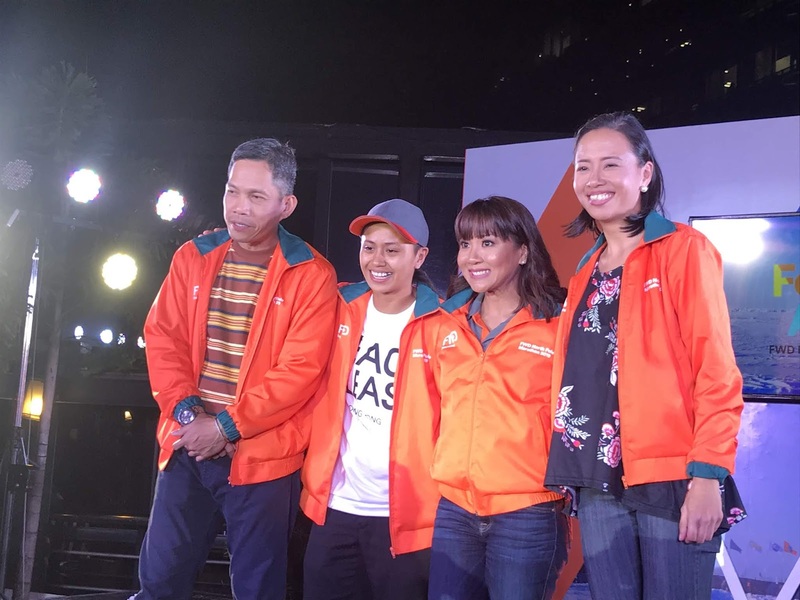 Get ready to score the Vivo V15 and V15 Pro at 0% interest when they come up at Vivo outlets and participating mobile phone stores nationwide and watch out for more exciting freebies! You can now easily get your hands on the V15 and V15 Pro as they will be available at 0% interest at all participating stores nationwide. Oral contraceptives or the pill remains to be one of the most effective and preferred form of modern contraception among Filipinas because they are convenient, non-invasive and reversible. It comes in two types --- the combined oral contraceptive (COC) pill, which contains both progestin and estrogen hormones and the Mini Pill or progestin-only pill (POP). 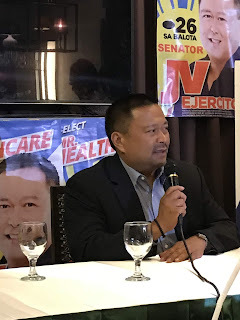 One of the recent bill that have been passed and signed by the President is the Universal Health Care, which was authored by one of the busiest legislator, Senator Joseph Victor "JV" Ejercito. 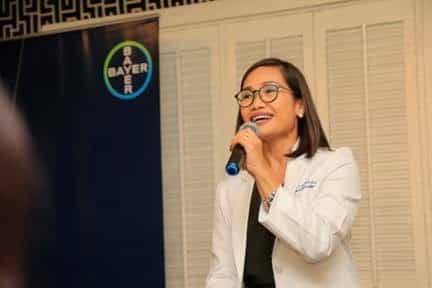 Not a doctor nor a practitioner of medicine but was able to come up with a bill that will give support to all Filipinos when it comes to health. The passing and signing of the Universal Health Care is a good start in uplifting the lives of every Filipino, it is not as perfect as it is presently but will be perfected as it continues. 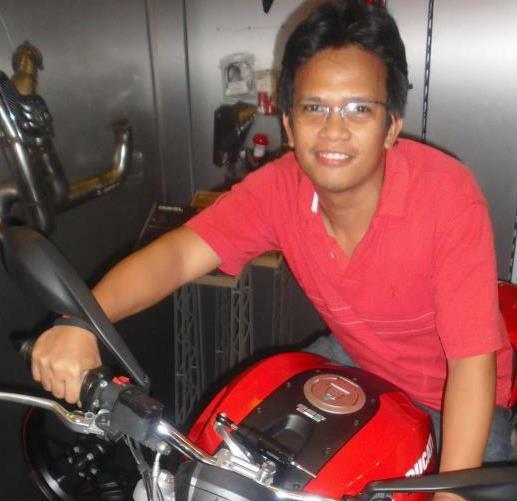 The Universal Health Care is like motorbiking going to different places, it gets better as you ride along. Obstacles and Scenic spots are just like the problems and good point of UHC, it will be develop more as you take the journey. With the help of technologies things will get even smoother. Perhaps this is how Sen JV perceive the UHC when he was doing the initial presentation. He pictures UHC like his travels on a motorbike. 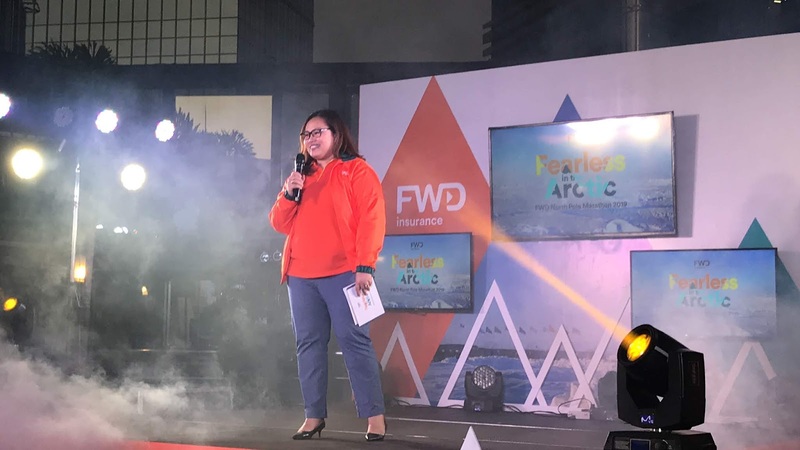 Of course motorbike is just one of the means of transportation and there are more that we can consider when travelling and taking your vacation, specially now that the lenten season is near. There's your usual bus, ferry, and airplane to get you on your destination but I think there's another means that we haven't utilized much, yet, the train. Just like Sen JV's suggested programs in the future. Election Time again! 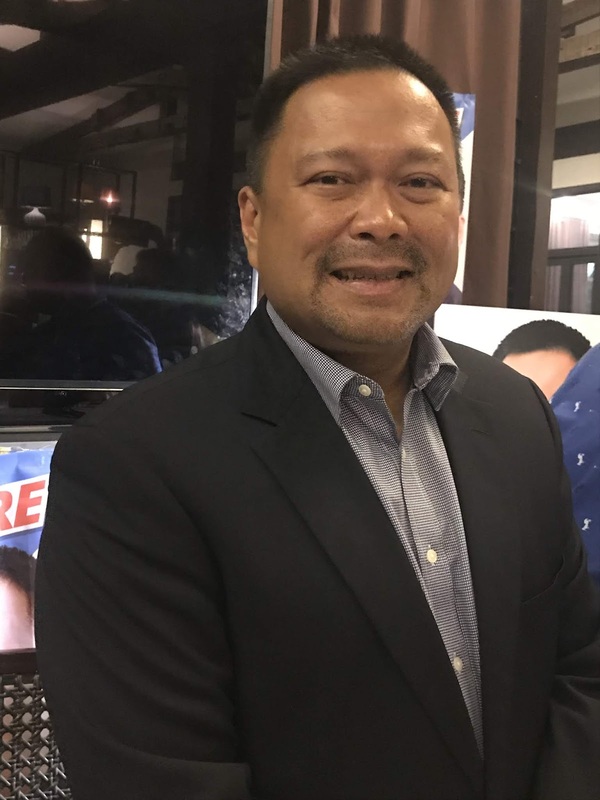 Filipinos need to know more about the candidates in order for them to choose the better Government Officials to be elected. 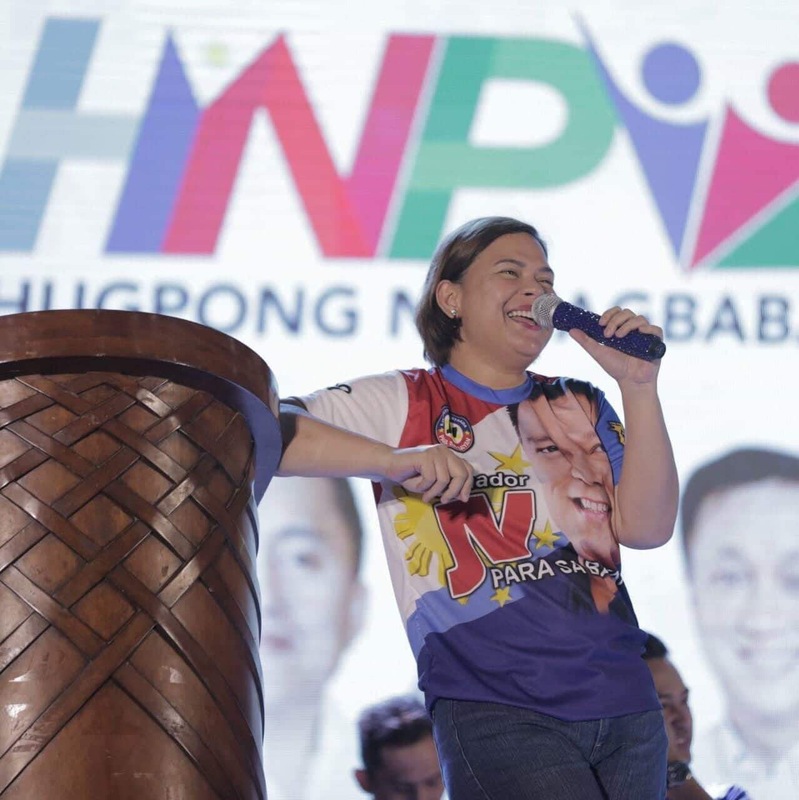 Campaigning in different provinces and places here in the Philippines are the priorities of the candidates now. In recent campaign rallies held in Visayas, Mayor Sara Duterte was present wearing the campaign shirt of Mr. Healthcare Senator JV Ejercito. 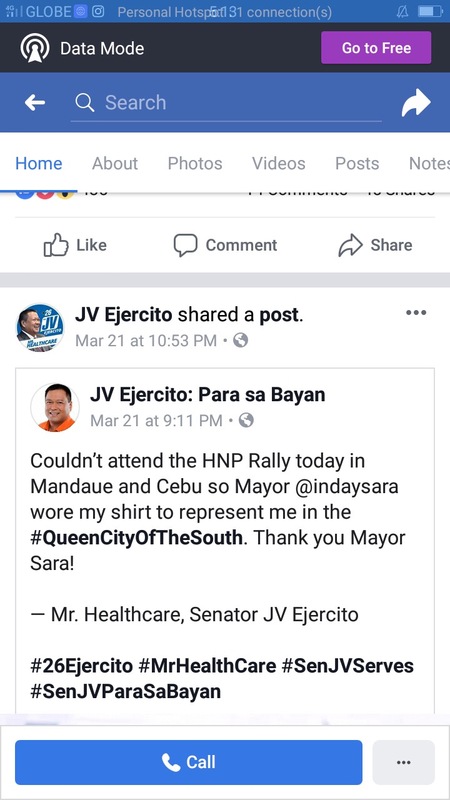 Unfortunately, Sen JV were'nt able to join the campaign, Mayor Duterte showed her support to Sen JV by wearing the campaign shirt. With this, Sen JV expressed his gratitude and thank Mayor Duterte in his facebook post since he cannot be in the rally. 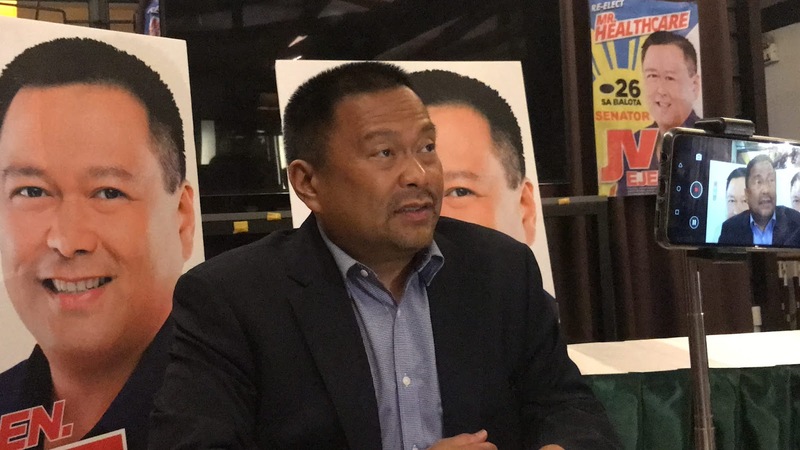 Senator JV Ejercito is the author of the recently passed bill the Universal Health Care. Sen. JV is Mr. Healthcare! 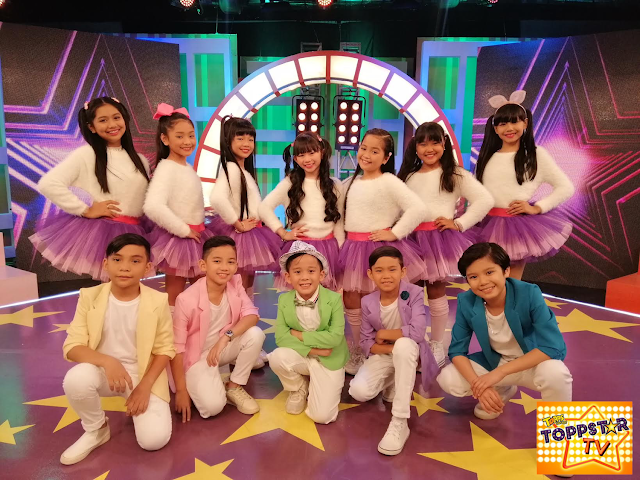 The search is on and perhaps your child is the next big TV star with Topps Sarap, a favorite cupcake brand from Rebisco, Toppstar talent search. 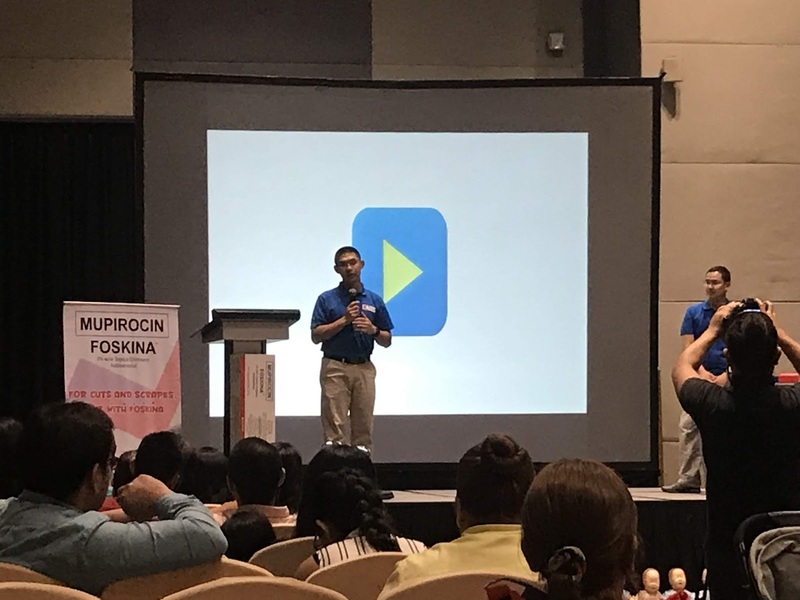 The Topps Sarap Toppstar started in 2016 created as a platform to discover young Filipino talents and celebrate the “topps” factor in each kid. 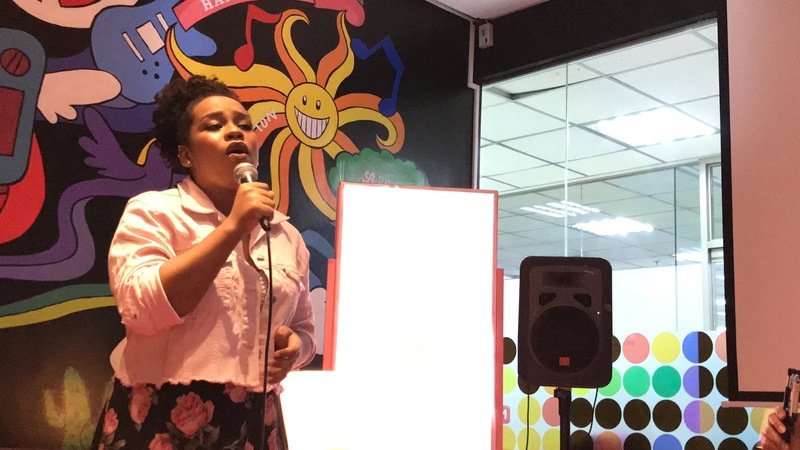 Parents are encouraged to showcase their kids’ talents in singing, dancing, or acting by having them join the nationwide talent search. Hugot lines never gets outdated. 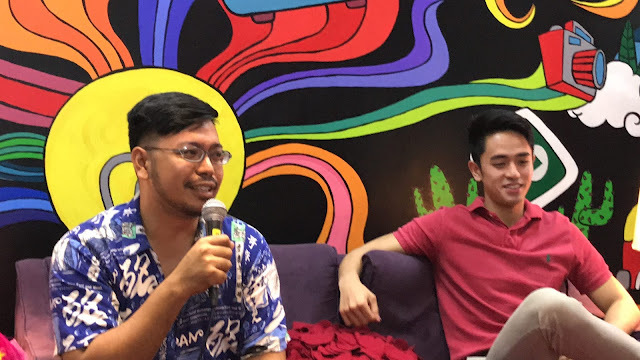 Whether it be falling in or out of love, we, Filipinos have the penchant for hugot lines and stories. The more emotionally-charged and relatable the lines are, the more we are drawn to these. We even go up to the extent of making it our own expressions. If you're familiar with the works of GMA Public Affairs, the same group that continues to make groundbreaking and award-winning documentaries and programs comes “One Hugot Away” featuring digital love stories set to make hearts flutter beginning March 25. 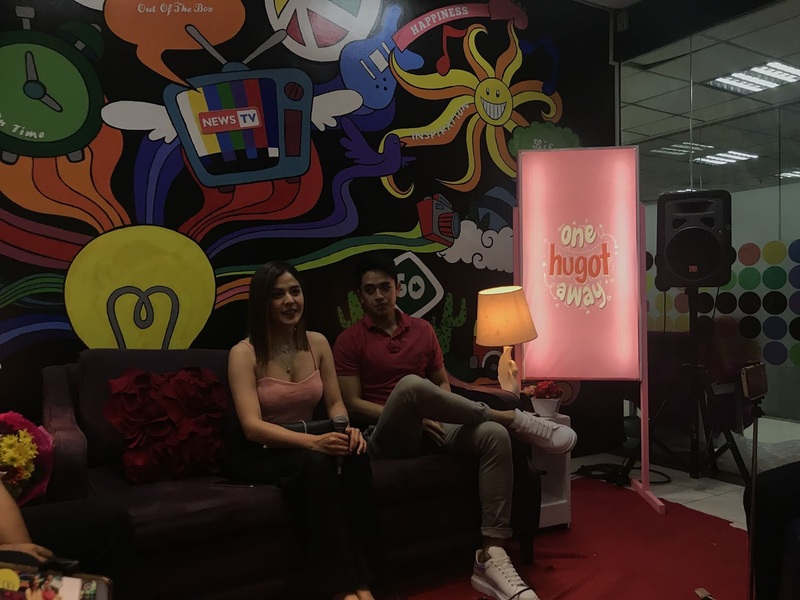 Produced by GMA Public Affairs, “One Hugot Away” brings to life short film love stories made for digital format but will also be shown on television. 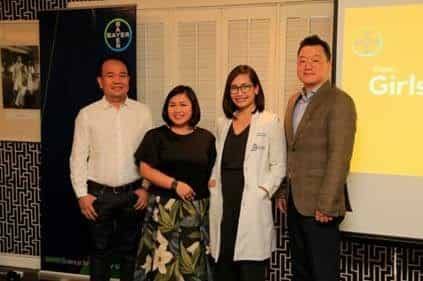 The series will be available on GMA Network’s Facebook and YouTube accounts while snippets will also be aired on GMA 7 all throughout the day. For its first offering, “One Hugot Away” will have Kapuso actors Shaira Diaz and David Licauco banner the story of Ella and Ben entitled “Walang Label”. Ella and Ben have gotten really close spending time together for the past six months. Ella admits they “enjoy” each other’s company. But it boggles her that While Ben shows they are more than friends, he is not consistent with his actions. What will happen once she confronts Ben about the label of their relationship if there is one? Snippets of this short film will be seen on TV during commercial gaps of Kapuso Movie Festival, Wowowin, and My Golden Life. Netizens, on the other hand, will be able to catch the two-part story at 7 p.m. But viewers will have to wait until March 28 during the timeslot of My Golden Life to know what will be the ending of Ella and Ben's story. Netizens on the other hand, can watch the finale on March 29 at 12 noon. 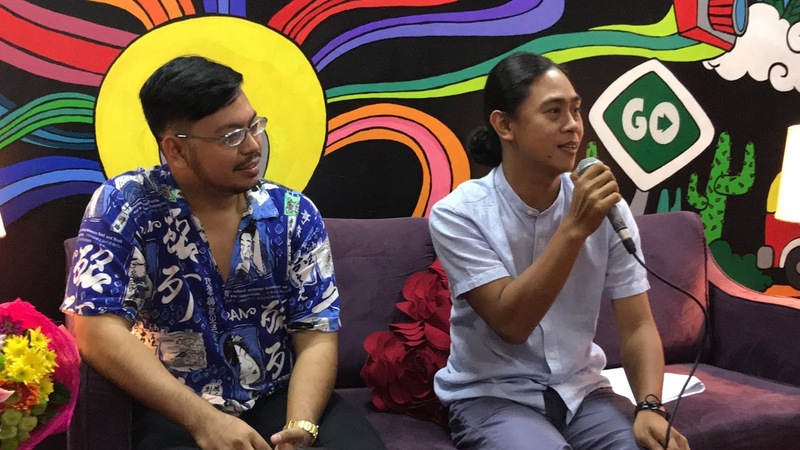 The first “One Hugot Away” short film is written by James Estrada and directed by Zig Dulay. The Clash alumna Muriel Lomadilla sang the theme song entitled “Bakit ‘Di Na Lang Tayo” which was composed by Roxanne Fabian and mixed by Andrea Cullla under GMA Post Music Production. Go ahead, indulge in your deepest hugot moments. 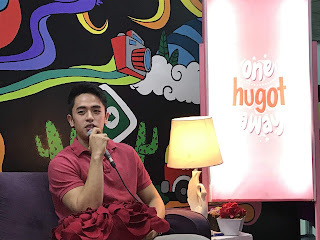 Catch “One Hugot Away” beginning March 25 on GMA Network’s Facebook (www.facebook.com/GMANetwork) and YouTube (www.youtube.com/GMANetwork) accounts and on GMA 7. 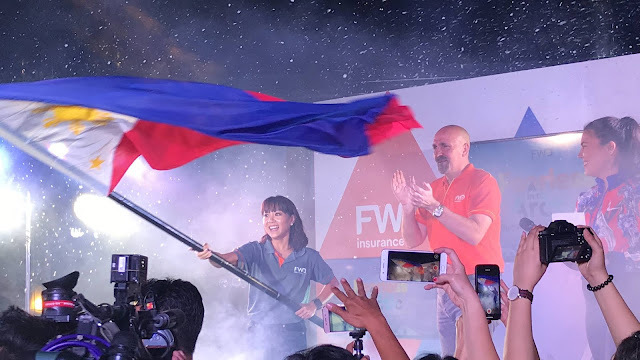 Perhaps I can relate to San Juan City Mayor Guia Gomez of her being the mother, not only to her family but to the entire city. Of course the relate part is only being a mother. Motherhood is a profession and it's a full time job that most of the time overtime is not paid but of course it's the love for the family that makes it fullfiling and satisfying. 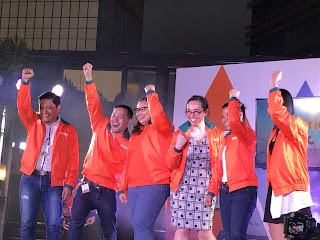 Thankfully, I was part of the invited bloggers to have a simple chitchat with Mayor Guia Gomez. 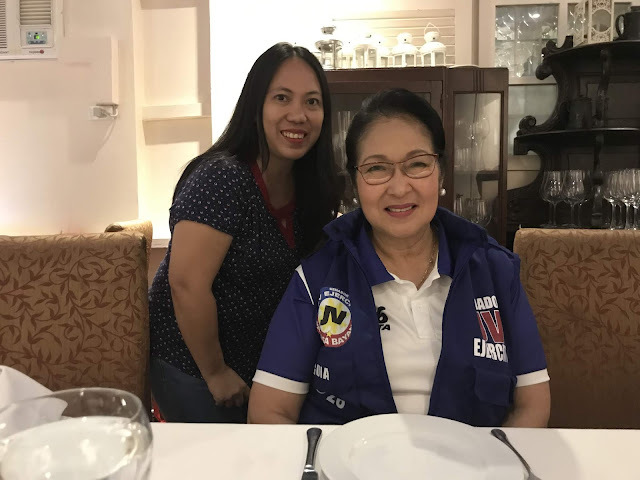 Yes, I'm very glad to have met her personally, the mother of Senator JV Ejercito. 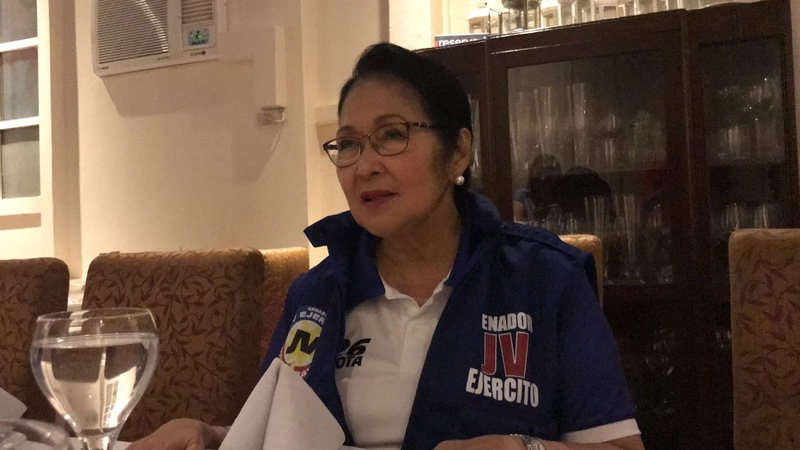 She is the mother who became the mother of the entire city after replacing her son from being Mayor of San Juan City. Mayor Guia Gomez, before and currently being mayor of the city has been a public servant by heart. Owning perhaps the true title of being the mother of the city. 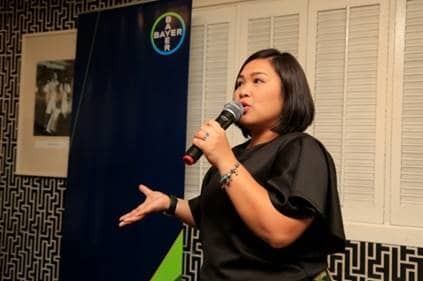 During the chitchat with her she was able to share bits of her past to us, bloggers. She was once also an actress in her prime days but was cut short because of knowing she wasn't into it very much. 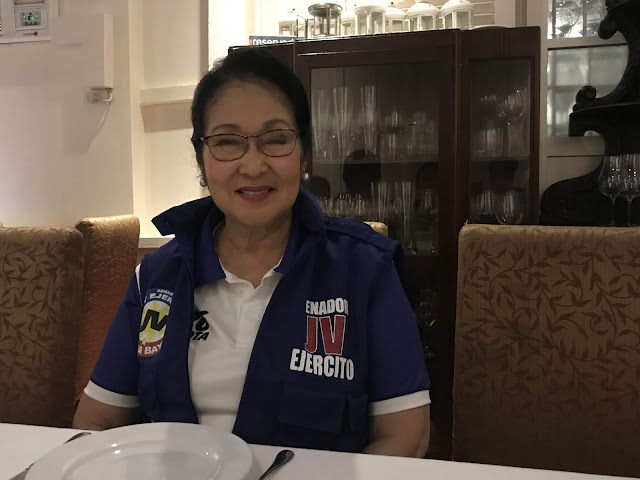 She also shared her time being the mother who loves to spend time with her family, children, and grandchildren. 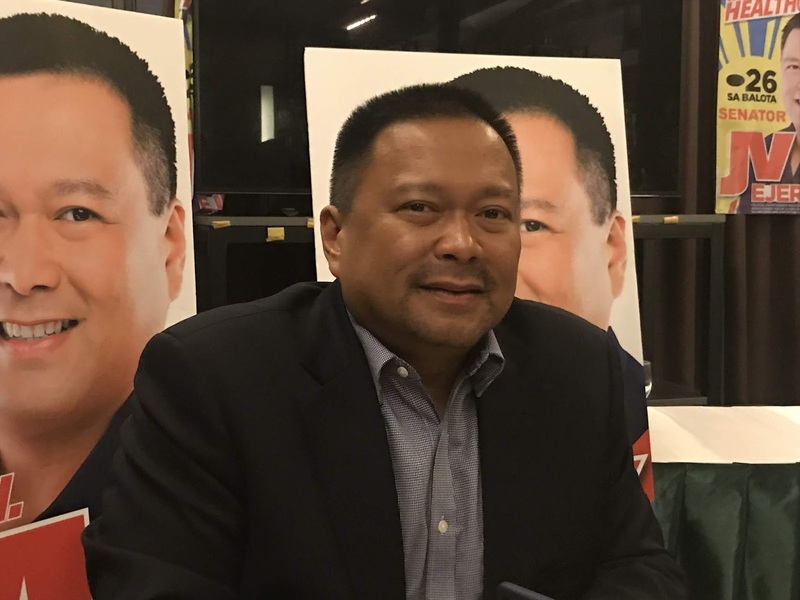 Mayor Guia's time serving the people of San Juan has done a lot of improvements in the city. 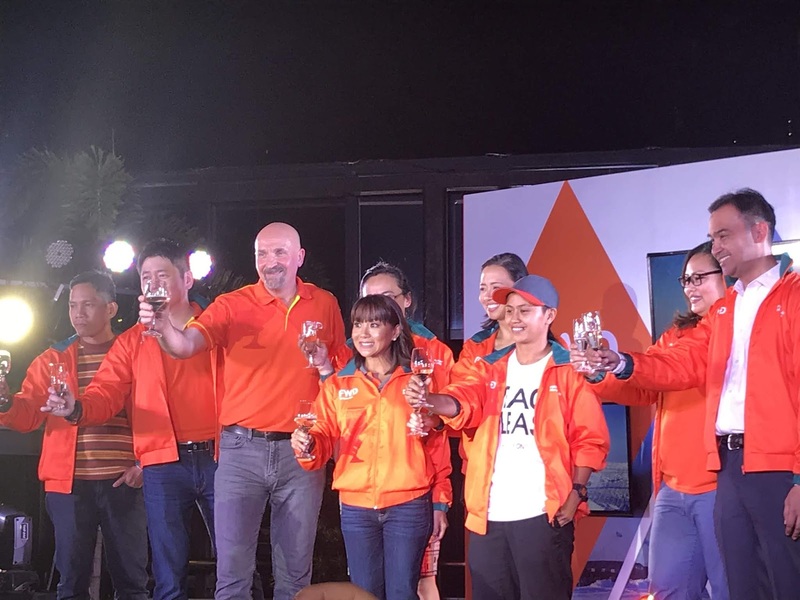 Some of them are additional housing programs for the less privilege, job generation and skills training, and the sustainable programs that will eventually free the majority of the San Juaneños from poverty. Mayor Guia's motherly trait perhaps comes from her parents. 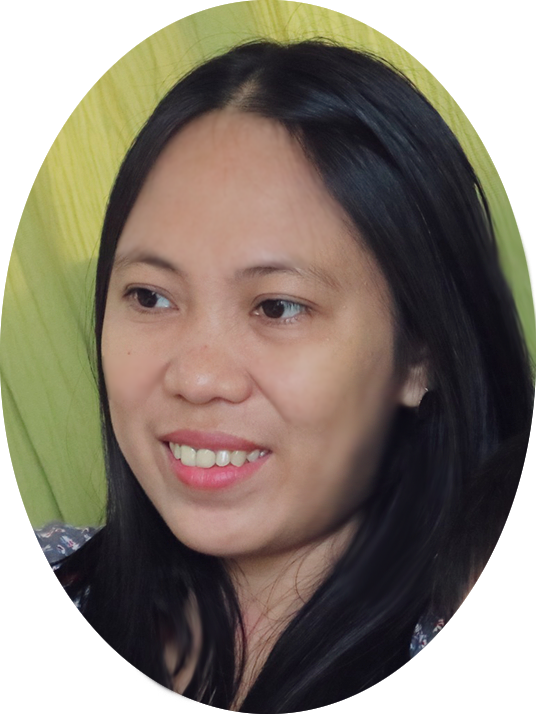 Being the eldest child of Dr. Dominador Gomez of Silay City and Paz Guanzon of Iloilo City. Of course there's a saying "kung ano ang puno sya ang bunga" and this qualities she have were passed on to her son Senator JV Ejercito who also excelled in his own achievements. The mother who cares for her family and to the city. Our family is our top priority, as much as possible we don't want them to get hurt and we are doing our best to give our special care and love for them. When they are hurt or get into accidents, we, parents, should learn to do first aid. 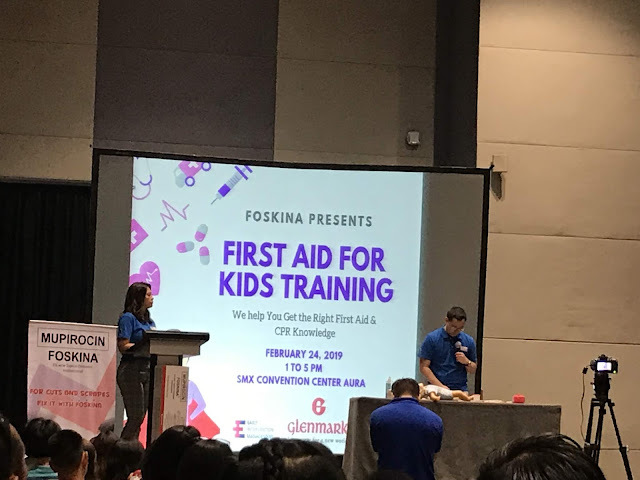 With this, last February, I was able to attend a training by Glenmark Philippines Inc. that taught its attendees to be “first responders” at school and at home. 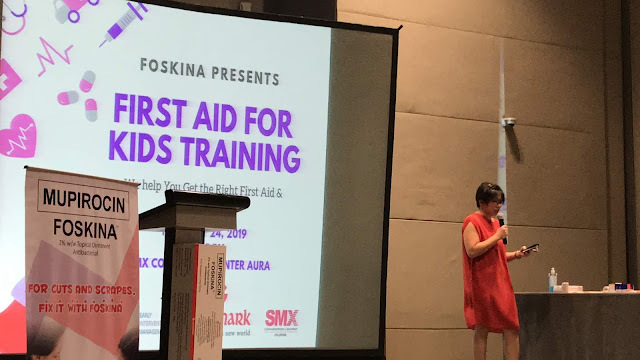 Glenmark Philippines, Inc., an affiliate of a leading research-based pharmaceutical company Glenmark Pharmaceuticals, conducted a “First Aid for Kids Training” in this city, through its brand on wound care, Foskina Ointment. 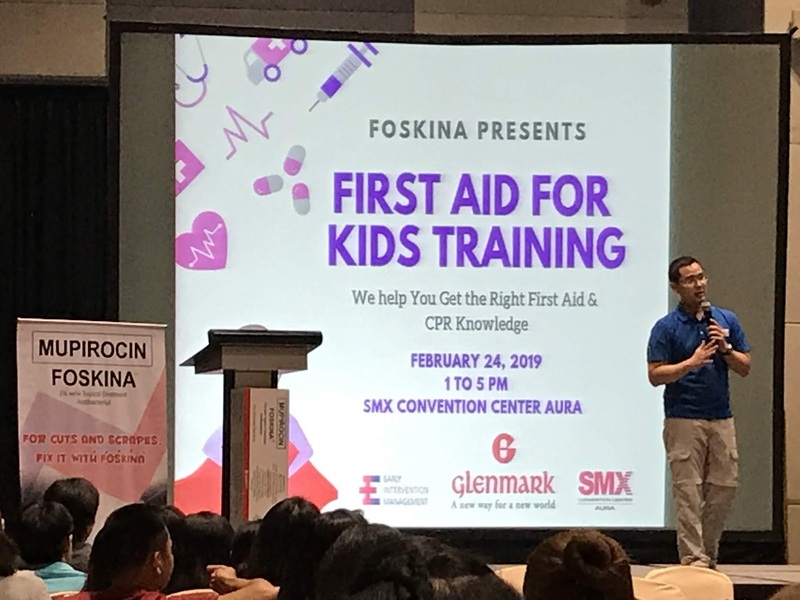 Through the training, held at the SMX Convention Center from 1:00 pm to 5:00 pm, Glenmark aims to increase awareness about the value of knowing the application of basic first aid, particularly among parents and school facilitators of pre-school and kindergarteners. 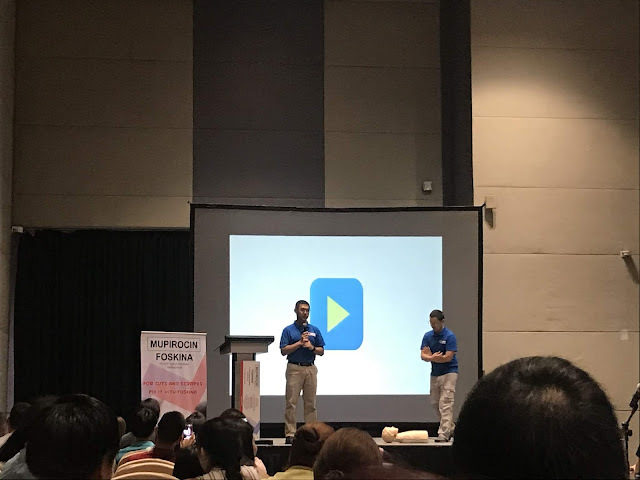 It is a big help for us, mommies, to learn more on this kind of training. For sure most of the moms who attended the training learned more on how to give first aid in case of emergencies. With this, Foskina is a good brand for wounds, this is the brand that we have in our house. Watching TV series makes it more convincing if actors playing the roles are convincing enough to make us, viewers, believe of their characters. Yes, there are plenty and some of them are already making their way to our televisions as they work they way up. Some of these actors who plays good with their characters are now at GMA Artist Center. 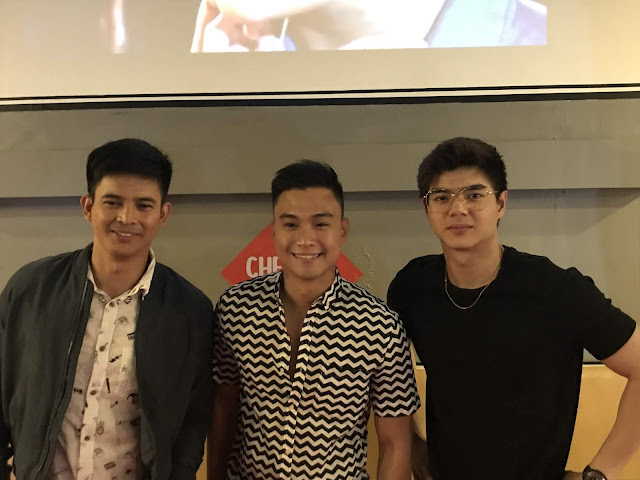 Just recently they were happy to announce that these 3 hunks, good looking, and talented actors were now member of the Kapuso network namely Paul Salas, Edgar Allan Guzman and Jason Abalos. 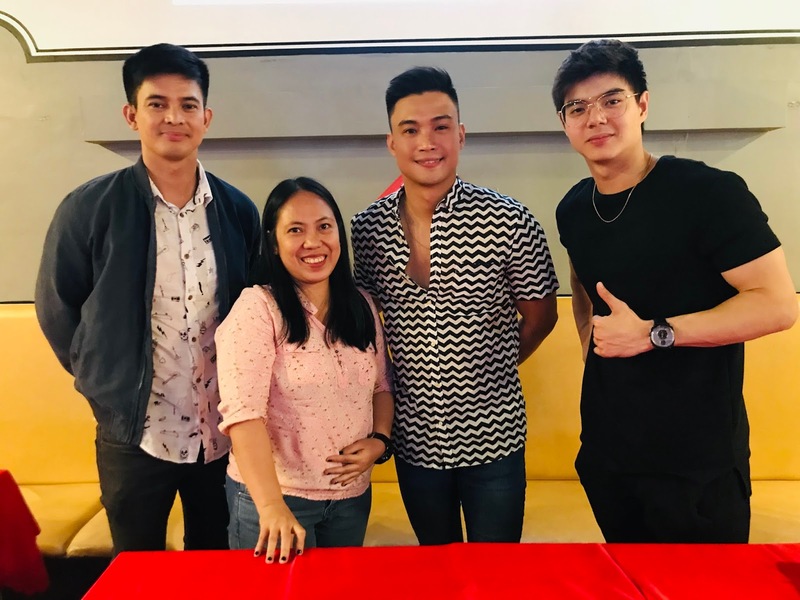 The new additions to GMA Artist Center's roster of talents. 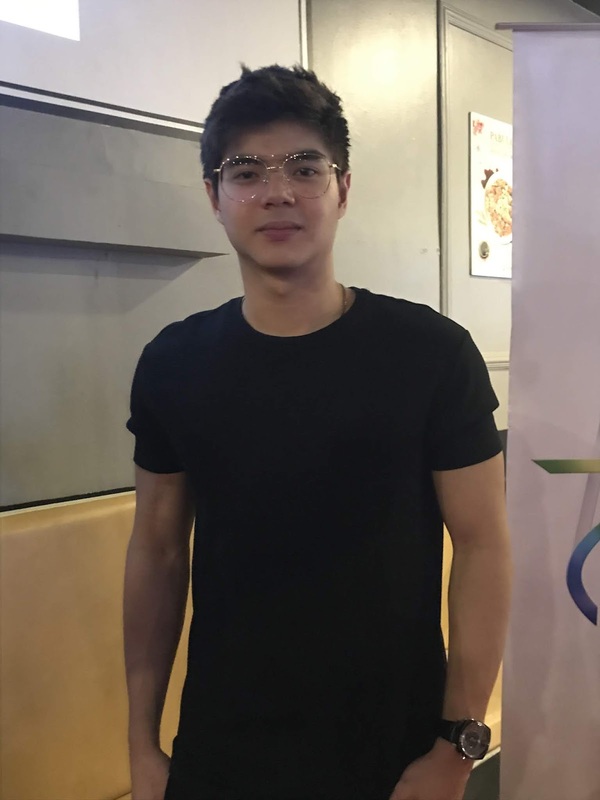 Paul Salas, who was part of the talent search "StarStruck Kids" in 2004, stars as Chino in GMA Network's newest primetime series "Kara Mia". 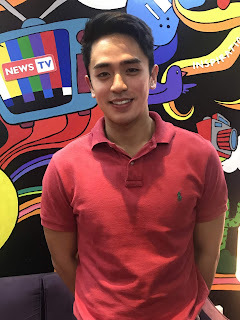 In an interview with GMA Network, Paul said he is happy and surprised to have been given a chance to be part of a show. 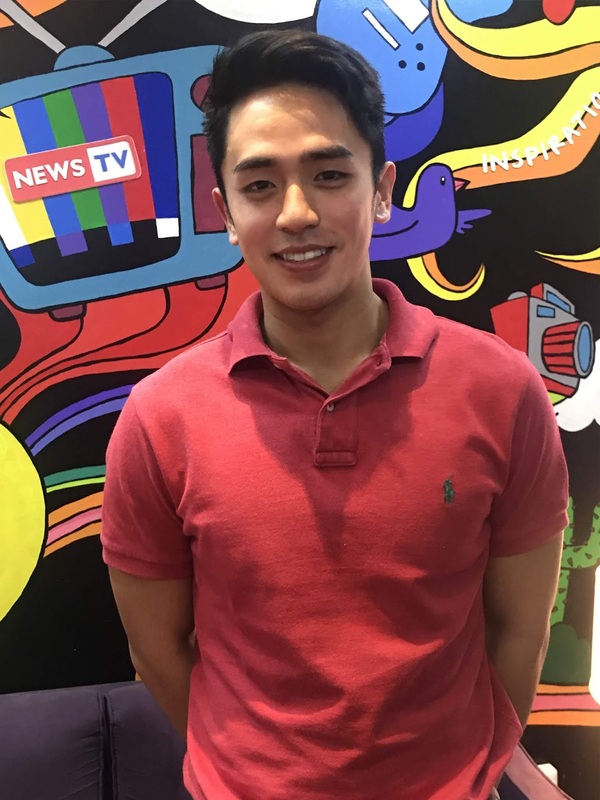 Also an excellent dancer, Paul has also performed in the variety shows, "Sunday Pinasaya" and "Studio 7". 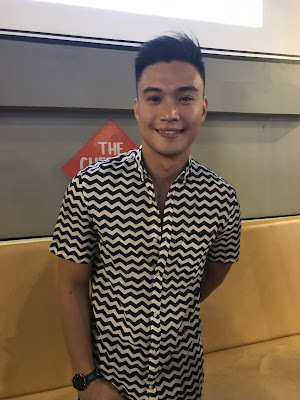 Edgar Allan Guzman got his start in showbiz he competed and won in "Eat Bulaga"'s Mr. Pogi in 2006. Before signing with GMA Artist Center, EA was also part of other Kapuso shows such as "My Korean Jagiya" and "The Stepdaughters". 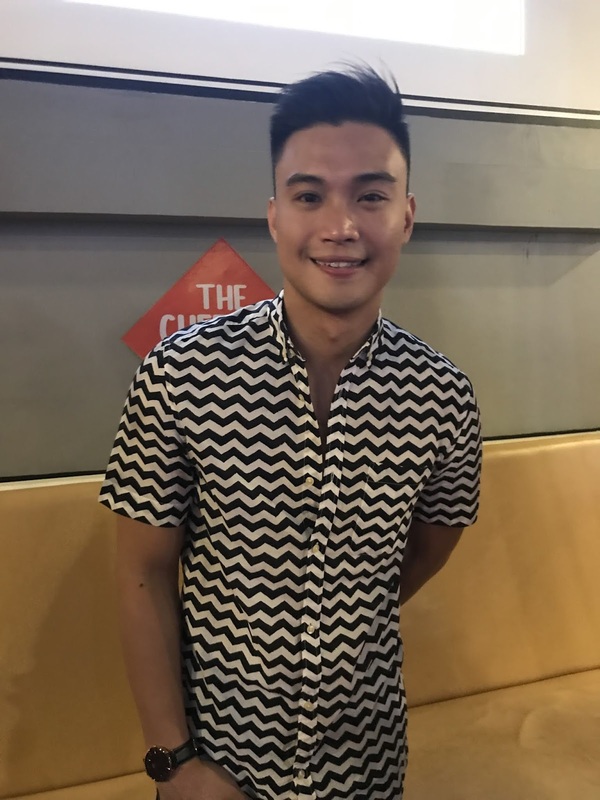 EA is set to be a part of GMA Network's newest series "Dragon Lady" where he will be playing Goldwin Chen, a Chinese businessman. 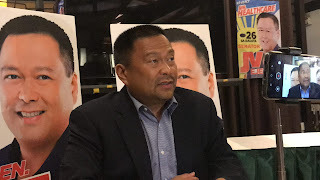 He is also working on an upcoming movie titled "Bag Man". 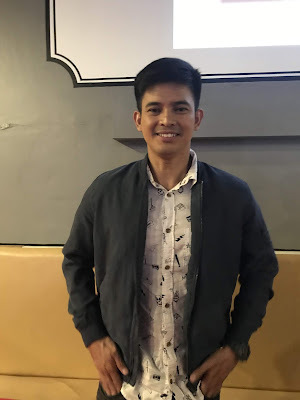 Jason Abalos, who was part of Kapuso shows "The One That Got Away' and "Asawa Ko, Karibal Ko," shared in an interview with GMA Network that he'd like to try comedy projects. Jason is set to be a part of GMA Network's newest series "Stolen." If you own a motorcycle and ride it often, you should already know the rules about motorcycle protective gear. You should always wear your helmet to protect your head, long pants to protect your legs, so on and so forth. You know that you should always wear your gloves as well because most bikers wear them. But what are the real reasons? Wearing motorcycle gloves increases your level of comfort while riding your bike. Motorcycle gloves can absorb much of the vibration that can be felt in the hands while riding. Gloves help prevent the numbing and tingling many riders experience, especially on longer rides. Gloves provide added comfort by protecting your hands from becoming dry and calloused. If the nature of your work involves using your hands considerably, this can be especially important. Gloves with padded palms not only protect your hands from injuries in a fall, but they can also help keep the feeling in your hands and shelter them against the vibrations from the bike. Grip is another safety feature that gloves offer, even in the heat of the summer. When your hands are sweaty from the heat, you tend to loose grip and this can be dangerous. Most gloves have leather or silicone palms that ensure a secure grip. Another benefit to wearing gloves is protection from sunburns, road debris and even bugs. Mesh or textile riding gloves? Which type to buy? Summer Gloves are made for warmer weather and are usually with ventilation, mesh panelling or without a liner for a more comfortable ride in the summer. Textile motorcycle gloves may be your best choice if staying warm and staying dry are your primary concern. Textile gloves are, to a degree, water resistant and, if they’re backed with a good quality waterproof membrane, they offer the best chance of staying dry on the bike. Motorcycle gloves come in a wide range of colors, styles, and specifications. Depending on the type of performance you need from your glove, you can select features ranging from stretch mesh finger gussets, silicone prints at the fingertips for maximum grip, padded knuckles for protection, or abrasion-resistant leather. Whether you're looking for all weather riding gloves or simply the best all season motorcycle gloves, you'll find exactly what you need at the online selection on BikeBandit.com. Women power! FWD Philippines is making it happen as one of today's female triathlete/marathoner, Joyette Jopson will represent the Philippines for the FWD North Pole Marathon. This is the "World's Coolest Marathon" where the marathon is happening in a below negative degrees temperature location in the world. During the media event, friends, FWD Philippines Executives, supporters and family members gave their full support to Ms. Joyette. Good lucks and words of encouragements comes from the squad member to FWD Philippines executives, to members and supporters were also given to her. 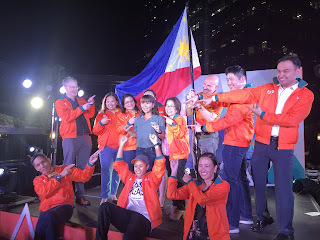 Ms Joyette is a triathlete, 2014 Ironman 70.3 Philippines Filipino Elite Champion, and FWD Financial Wealth Officer. 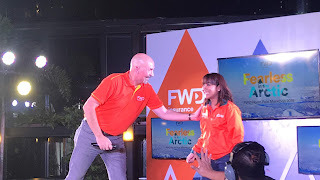 She will be flying to the northernmost point on Earth to represent the Philippines in the forthcoming FWD North Polo Marathon. Imagine the cold weather, the terrain, and the challenge. How extreme is the "World's Coolest Marathon"? 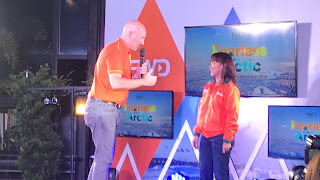 Well, as what the Guinness World Record recognize it the "Northernmost Marathon on Earth" is a very unique and extreme marathon, it is run on a small 4.22-kilometer (2.62-mile) loop about 10 times, over hard snow or ice. This marathon is recognized by the Association of International Marathons & Distance Races (AIMS). Adding to its uniqueness, it is the only certified marathon that is run entirely on the frozen water of the Arctic Ocean. 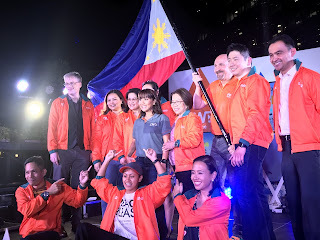 Toughest marathons it may seems but we know Filipinos can conquer everything and Joyette, she'll the first Filipina to conquer the "World's Coolest Marathon". 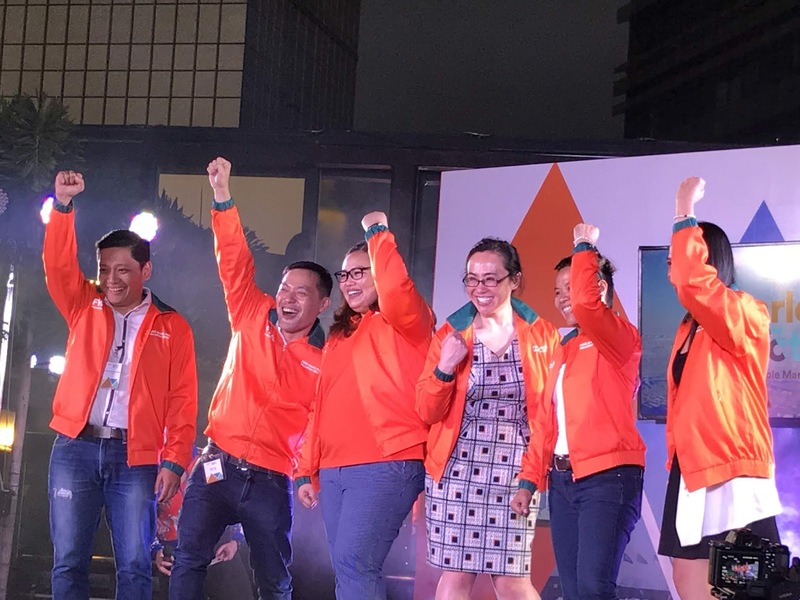 Join Jollibee’s Jolly Breakfast Day Celebration!